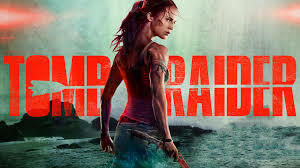 I went to the theatre with mild expectations, as, the previous Lara Croft films were, for me, borderline, relaying to much in close to super-power abilities and had a too big fantasy or supernatural element in them. Yes, I am a big fan of Indiana Jones and it also has the same elements but, I guess I like the series so much because Indy is not flawless or capable of extraordinary stunts, like Lara on the first two films. The movie starts off well-enough, with an excellent view of Lara growing up and engaging in rebellious activities that still feels grounded in the real world. Sadly, once she learns of her father’s legacy, she’s off to China and the plot seems to want to never seriously hurt her in any of the following scenes. She maneuvers through Hong Kong as a clueless tourist in such a way that I instantly knew that this movie would make sure that she never comes into real danger, as the worst people she runs into as a white foreigner with no Chinese ability in a run-down harbor is a trio of boys who steal her backpack. Every character’s introduction is designed to move the plot further around her and her only. I had so many questions about the world around Lara and the mysterious corporation that funded Vogel’s expedition, but the only details revealed were the ones that specifically pertained to the “action” scenes revolving around Lara. I use “action” generously, because despite the many repeated images of her grimacing in pain, she clearly remained at the level of an Olympic athlete throughout the film despite the serious injuries she sustained. This movie is a great adaptation of the 2013 Tomb Raider game. I think that the makers of this film selected the best action elements from the game such as Lara’s deadly jump on the abandoned airplane and her way of opening the parachute. It was a super positive surprise that basically all scenes in the movie were dynamic and full of action. I did not find time to eat my popcorn at all in the cinema because the movie kept me just watching it. Also, Alicia Vikander and the rest of the cast were super cool. I missed though all the staff of the Endurance from the game. However, I think that it would not have been easy to integrate so many individual stories of the Endurance staff into a 2 hours long movie.